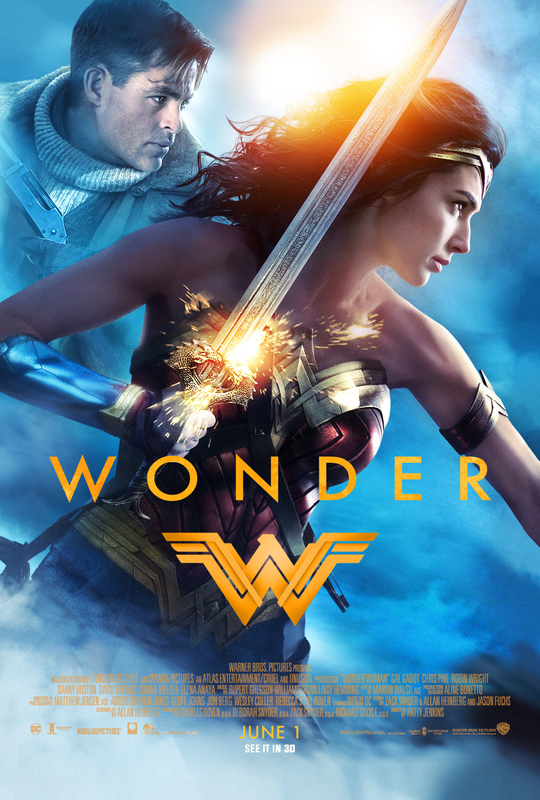 Warner Bros. Pictures Philippines has shared a new poster for the DCEU film Wonder Woman which now prominently features Wonder Woman (Gal Gadot) together with her main co-star Chris Pine. Pine will play Diana’s love interest and connection to “Man’s World” Steve Trevor. Chris Pine (the “Star Trek” films), Robin Wright (“The Girl with the Dragon Tattoo,” Netflix’s “House of Cards”), Danny Huston (“Clash of the Titans,” “X-Men Origins: Wolverine”), David Thewlis (the “Harry Potter” films, “The Theory of Everything”), Connie Nielsen (Fox’s “The Following,” “Gladiator”), Elena Anaya (“The Skin I Live In”), Ewen Bremner (“Exodus: Gods and Kings,” “Snowpiercer”), Lucy Davis (“Shaun of the Dead,” FX’s “Better Things”), Lisa Loven Kongsli (upcoming “Ashes in the Snow”), Eugene Brave Rock (AMC’s “Hell on Wheels”) and Saïd Taghmaoui (“American Hustle”). The film will be directed by Patty Jenkins with screenplay from Alan Heinberg. Story by Allan Heinberg, Jason Fuchs and Zack Snyder. Wonder Woman created by William Moulton Marston. Opens June 1 from Warner Bros. Pictures Philippines.